If you follow a gluten-free diet, you will appreciate the range of gluten-free products stocked at Geelong Fresh Foods. The shelves are also stocked with superfoods to boost overall health and vitality. People with coeliac disease are allergic to gluten – a protein found in wheat, rye, barley and oats. The only way to treat coeliac disease is by eating a gluten-free diet. People suffering gluten sensitivity (non-coeliac) will also benefit from eating gluten-free products. Many people without sensitivities who eliminate gluten from their diet often report feeling lighter and more energetic due to improved gut health with fewer digestive issues. A range of superfoods complements the variety of health foods stocked in-store. Superfoods can be considered foods that are nutrient-dense and provide a range of health benefits such as increased energy, antibacterial properties, weight loss – when combined with an overall healthy diet and exercise – and more. manuka honey, and much more. Most of the superfood products are raw and organic, meaning they have undergone minimal to no processing other than being harvested and packaged and were grown without pesticides or genetic modification. This ensures the products retain as much of their original nutrient content as possible. The team is proud of the quality of health foods stocked in-store and warmly welcomes questions and comments about the range. 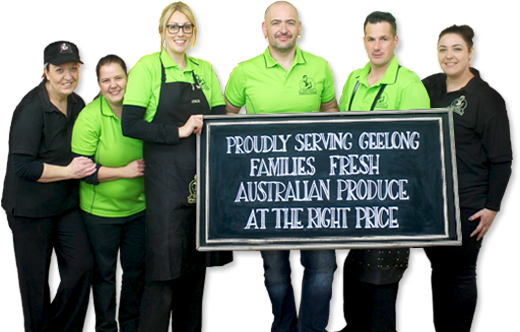 Please contact Geelong Fresh Foods for enquiries. You will also find an abundance of local produce supplied by leading producers in the region. For more info on any of our wonderful products please don’t hesitate to get in touch with us.